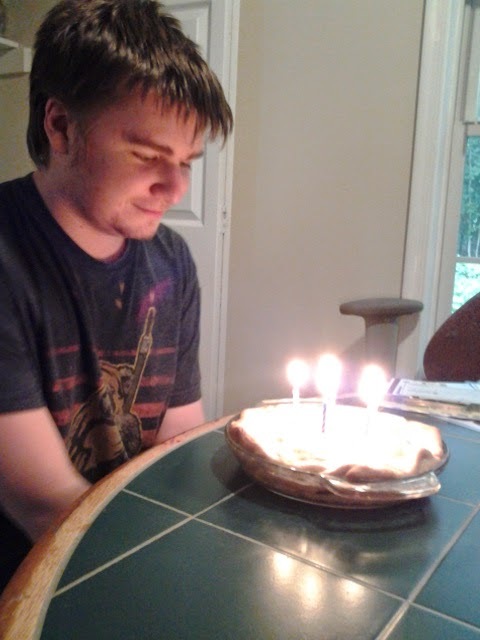 STAY AT HOME MOM: The Big 18! Last week was a major milestone! 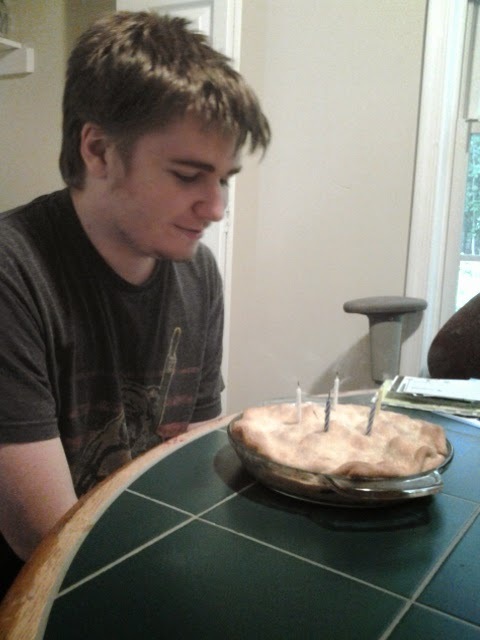 My first born turned 18! OMG I feel old! For breakfast we went to Waffle House - this is a southern waffle place. We have lived here for 3 years and it was actually the first time going there. 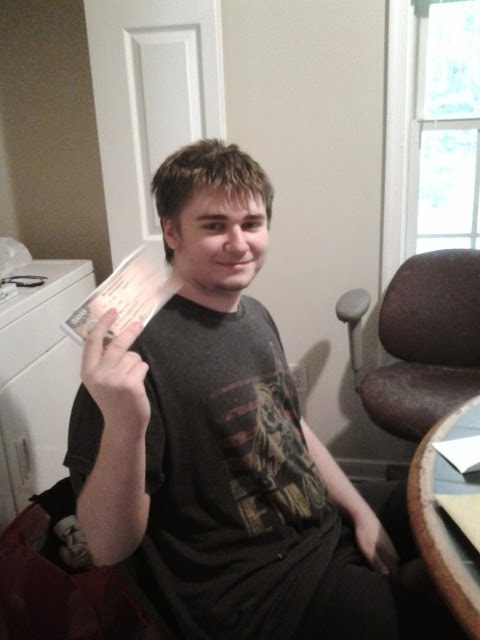 We also gave him, since he turned 18 all the Savings Bonds he has gotten since he was born from everyone. Great shots of a great-looking young man! Again, thanks, and best wishes to the birthday boy! Congrats on the college acceptance and happy birthday to him! Congratulations! He sure has had a great couple of weeks - first his 18th birthday and then a college acceptance! You must be very proud. He seems like a fine young man. Congrats! I'm feeling really old too, my youngest is now 13 and my eldest just turned 16 and miss middle child is about to turn 15! Not exactly sure where the time went but gosh they do grow up quickly. Wow! Congrats to him on college. 18 is a big one. I went to a Waffle House once, down in Georgia. It was like a different world! I liked it, though. It is scary how the time flys...my two are in their 20's and I've no idea how that can be possible because I'm only 19! Belated birthday wishes and congrats in being accepted into college. It's all happening! quite a day for him - and you of course!